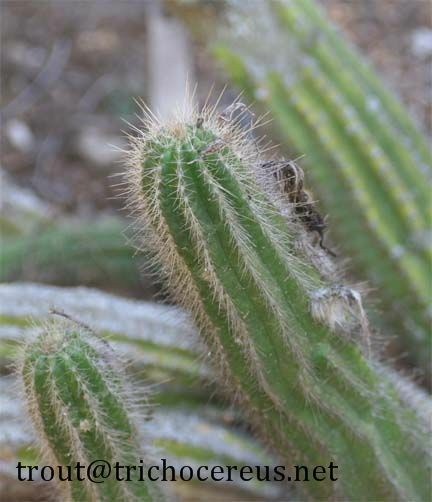 Trichocereus arboricola is more of an Epiphyte instead of a normal Trichocereus and is often grown like a hanging basket cactus. 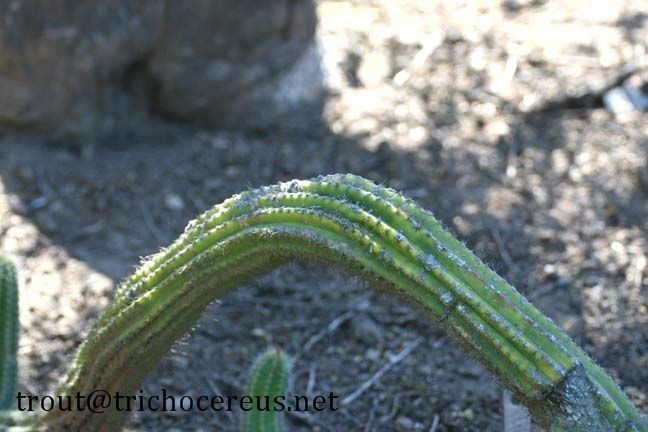 It often starts off as a columnar cactus, but goes prostrate as soon as it reaches a certain size. 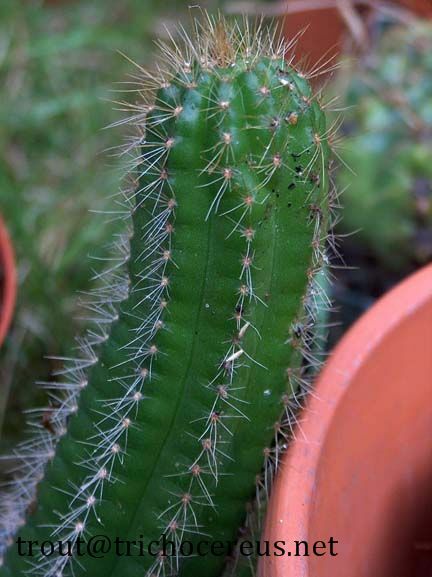 You can grow it in a hanging basket or like a columnar Trichocereus. 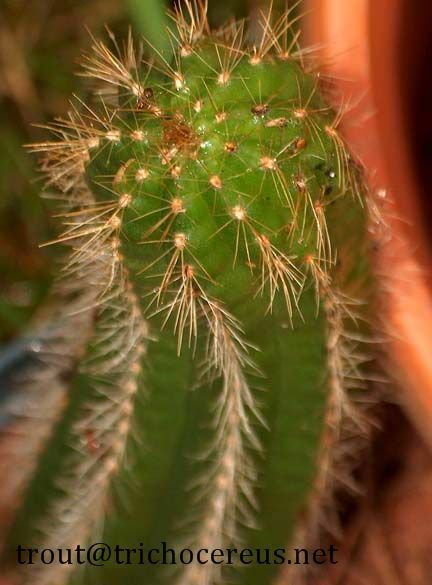 It’s a very tender cactus with a shiny, bright green color and very thin, needle-like spines. It can reach a total size of more than a meter and up to 5 centimeters in diameter. It usually has 10+ ribs and has very small, very subtle bumps over the areoles, which are slightly felted. 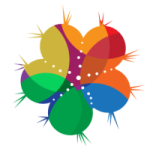 The areoles are up to 5 mm apart from each other. It develops aerial roots and has very fine hair on the areoles. 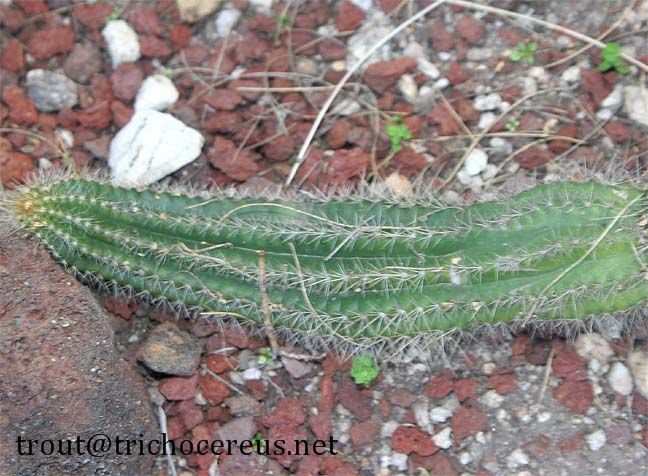 Trichocereus arboricola has between 10-16 spines, which are very thin and similar to the spines on some Cleistocactus species. 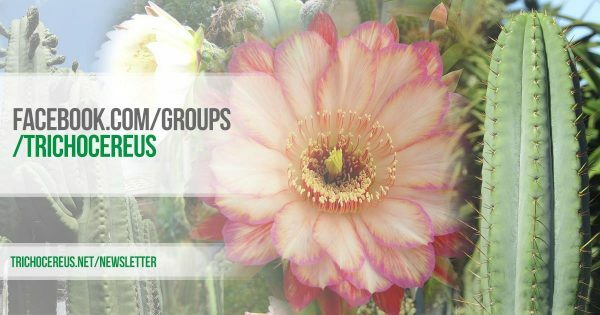 Trichocereus arboricola is a night flowering species and has a very beautiful flower, which is very large for its size and white in color. It has a very delicate and noble flower. 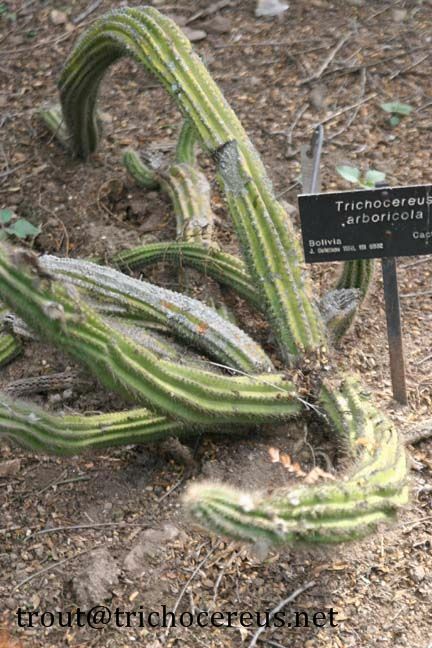 Trichocereus arboricola is a fairly new species and was described in 1997. 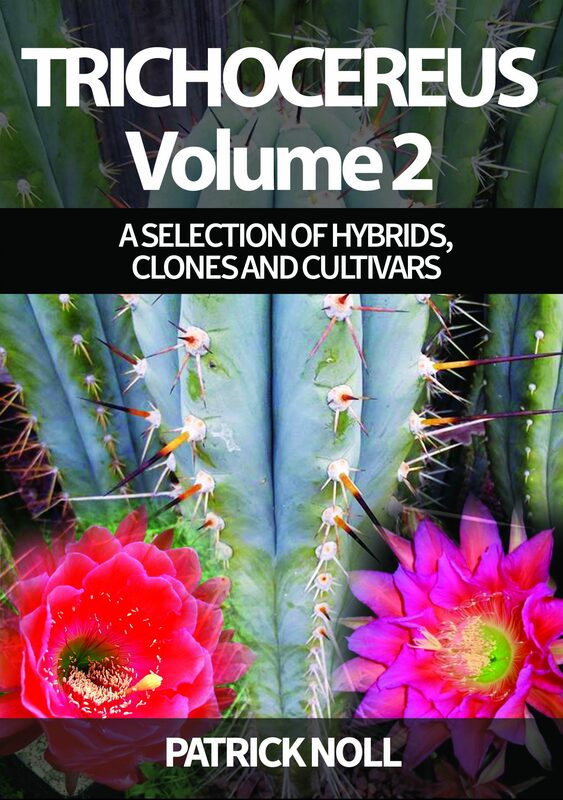 Because of that, it’s not included in many old cactus books.